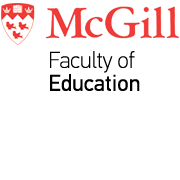 Five McGill researchers were granted renewals on their Canada Research Chair awards this week, including Professor Victoria Talwar, of our Department of Educational and Counselling Psychology. Mindy Carter contributes to EdCan Network: "Parents and School Choice: What are the Implications?" Mindy Carter, of our Department of Integrated Studies in Education (DISE), wrote a recent article for EdCan Network titled "Parents and School Choice: What are the Implications?" Read more about Mindy Carter contributes to EdCan Network: "Parents and School Choice: What are the Implications?"